If you're assembling an orchestra to play Evolve's soundtrack, you will need the following: pencils, bongos, a pizza box, a pencil can, the tray at the bottom of a bird cage, a roller chair … and a lot of imagination. 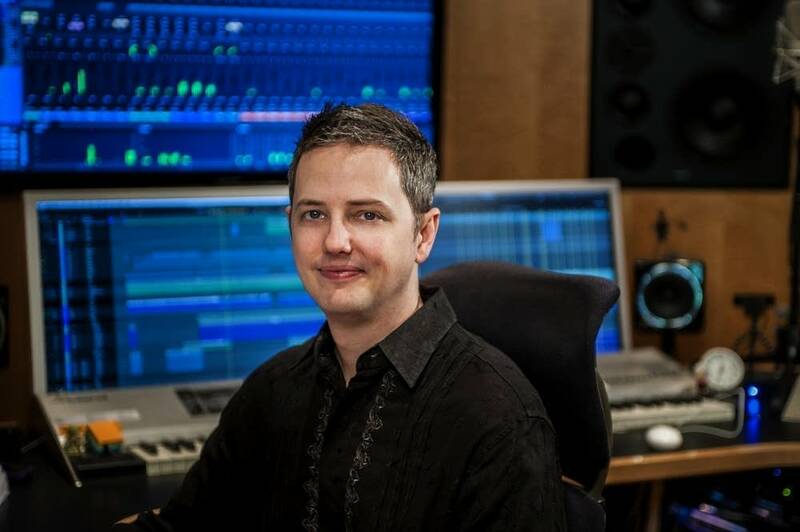 Evolve posed a challenge for composer Jason Graves. Most games include "reactive music," or a soundtrack that can adjust, in real time, according to what's on screen. Evolve, on the other hand, features five players working simultaneously  four cooperative hunters (presumably the good guys) and one monster (see also: bad guy). The soundtrack needs to seamlessly react to five different stories at once. How did Jason adjust? Stingers. These short pieces of music, between 5 and 30 seconds long, momentarily react to what's on screen. Jason created hundreds of these stingers so that everything during game play has its own reactive sound. The stingers are inserted into a background groove, and a full, evolving soundtrack comes to life. Evolve's sound is undeniably digital, but Jason believes in using real-life sources for music. Rather than creating and manipulating a digital signal, he records a live sound (like hitting bongos with pencils) and manipulates the recording. In fact, the rolling chair was a complete mistake  a nearby microphone was on, and he liked the result. We're also interviewing Jason about The Order: 1886, which should be coming soon. Stay tuned!